Okay... we knew Bush was coming to Phoenix several weeks ago. But it was only a few days ago that he decided to come to Tucson for a few minutes before heading to Phoenix. 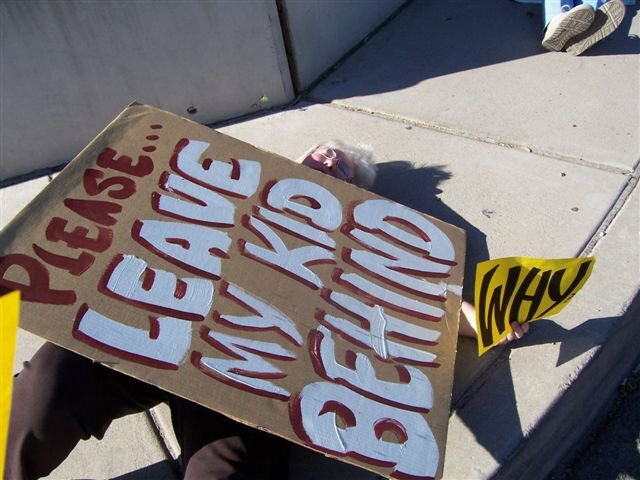 This touching the Tucson Tarmac to justify using taxpayer funds to pay for this AZ trip typifies the disregard Bush has for the law and the people. He sees nothing wrong with sticking the taxpayer with the expense of transporting Bush and his vast entourage to a Republican Fundraiser. The "meetings" had no public audience, no real business was done, it was just a photo op during the hour plus he was on the ground in Tucson. Vets are running for Congress, as Democrats. The corruption in government scandal is spreading from D.C. to Texas to Ohio to...a state near you? Occam's razor does not often apply when we analyze behavior -- the easiest explanation is not always the most likely. We of other views cannot just say corruption is a Republican problem. But neither can we say there is no difference between Republicans and Democrats. Many folks who are now in power should not be representing us in governmental processes. From both parties. Why? Because they see themselves as being in power and not as public servants. I think we need to remember the simple distinction between the two parties in American politics that my father taught me. Republicans represent business interests and Democrats represent the little guy. That is still basically true, in principle. But another factor has woven itself throughout the fabric of our society. But a factor that many folks don't seem to grok is that there is another major player... the corporation. Business in the U.S. was originally what was done by the landed white men and was the reason these guys wanted to escape from the grip of control by corporate entities such as the Monarchy and the East Indian Tea Company. Individual interests, whether it be keeping your property under your own control or bettering your conditions as a laborer are at odds with corporate entities who have once again gained control over governance -- corporations are not people, but have gradually regained all the rights of individuals (and none of the responsibilities) -- the very thing that our country was founded to fight against. Our founding fathers would have executed the supreme courts justices who upheld any law treating a corporation as a person by giving them rights. Corporations have no conscience and no morality. What we are seeing played out at this time is not an issue of Republican versus Democrat although this argument is being used as a cover by corrupt individuals who are using corporate interests to accumuilate tremendous wealth at the expense of all other people. People are going to have to realize that we cannot usurp other levels of organization and process in this living system called Earth. There will be corporate or higher level action above that of individuals. What we are going to have to realize is that corporate interests should not be skewed to exist only at one artificial level of society -- the economic. 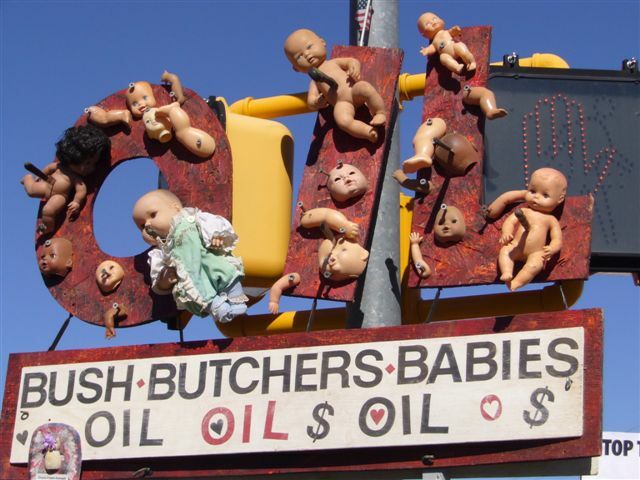 Money and profit is no more real than status as member of the Bear Clan nor as member of the British Royal Family. These things are real only because we believe in them. Economics is only one aspect of life, and it too is a created construct. It doesn't have to be any more than what be allow it to be. It has become the controling interest in the world and this profit-based worldview is destroying us by defining people as labor and nature as resource. Profit and excess destroy the foundation of sustainability. No, I am NOT about to launch into a Marxist rant. I think that Communism that was derived from Marxist philosophy is just as screwed up and imbalanced as Capitalism that values capital or property over balance in life. I am not promoting any sort of revolutionary change. Just a return to a sensible attempt to pursue life liberty and happiness, and 2) to form a more perfect union. My take is that this must be based on health, learning, individual freedom of expression in all aspects of life not economic aspects like all of the major governments in the last 150 years. 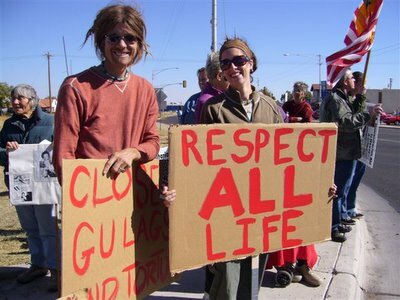 Perhaps this is what the many veterans, who are now running for Congress for the first time in the 2006 elections, will do by making significant inroads into reclaiming self-governance -- after all they fought and saw their buddies die to preserve our freedoms, not to preserve profit by raising one aspect of our society (economic) above all others. News from San Diego and a Camp Casey Alum about a veterans and others memorial on the beach that gave voice to the fallen who would want us to Bring Their Buddies Home. San Diego Ca is a well known, conservative military town. People who live here enjoy sun, surf, and year around good times. On Friday afternoon people dressed all in black started to gather along the coast in Carlsbad, Ca, just north of San Diego. They came in two and threes. They came in wheelchairs. They came with dogs and baby joggers. They rode bikes. They walked. The coaster was full of people dressed in balck. They were singles and couples and families. One family had four generations. Many came with teen and pre-teen children. There were baby boomers and their parents. There were Vietnam era vets. There were active duty Marines. There were young soldiers, Iraqi vets. 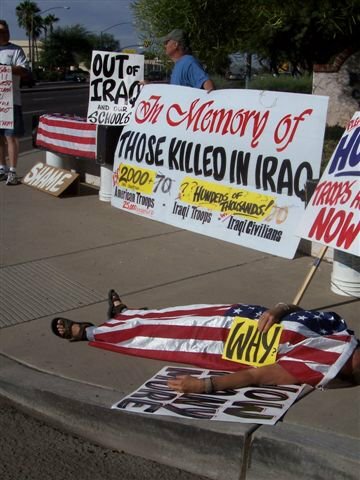 There were families who had lost a son or daughter in Iraq. There was a young boy who had lost his grandfather in Iraq. Friday was a beautiful sunny day with a bit of haze over the ocean. The malls opened early and people trampled each other to grab a "discounted" item. Hundreds stood in predawn lines to be first. Afterall, didn't the president tell us to shop? Don't worry about the terrorists, the war, the dead soldiers, just shop. So what were these people doing lining up along the coast? Paying silent tribute to the fallen in Iraq. Brainchild of Jeeni Criscenzo, candidate for congress in San Diego county, BRING THEIR BUDDIES HOME, had brought this diverse group out. There were no signs, banners or shouting slogans. It was a respectful, thoughtful way to recognize the sacrifice of the soldiers who have been killed in Iraq and Afganistan. They came and kept coming. Volunteers led groups of 15-20 to the end of the line. They stood quietly side by side, acknowledging passing cars and pedestriains strolling along the beach with a smile, nod or thumbs up. They stood for over two hours and still they came. The line would end up stretching for one mile and consist of 1000 people, give or take a few. The local papers and press were all there. It made the evening news on all three networks. The local Air America host was there, standing in the line. Not for show, but because he cared. Many of the San Diegans who were in Crawford Tx in August were there. I am one of that group. I would have been in Crawford with Cindy, Ann Wright and Daniel Ellsberg, had I not been down with the flu. The turnout was beyond my wildest expectation. Imagine that, the day after Thanksgiving, spending the day standing in a line along the beach with 1000 of my closest friends! Who could ask for anything more? 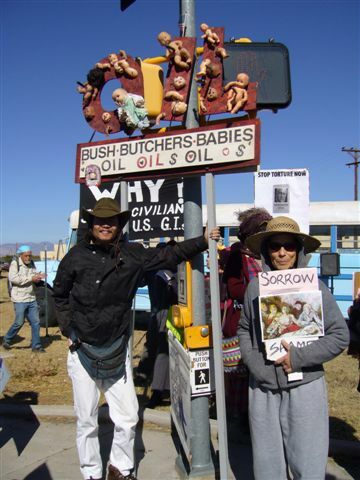 Anti-Bush, Pro-eace, Pro-human rights protestors will gather near the DM gates -- Davis Monthan Air Force Base Swan/Golf Links entrance.Map of E Golf Links Rd At S Swan Rd. There are thousands of reasons to protest... but he's speaking on Border issues so I'm thinking about making a sign saying, "No More War - No More Imaginary Borders"
I think everyone possible ought to paint a peace sign on their roof before Monday so when the chicken hawk flies over he will know how Tucson feels about his immoral and illegal war in which he has sent so many to their deaths. Pink peace signs are best but any color would do! Follow Lucy's example -- almost three years ago she painted this one on her roof that just happens to be on the DM flight path here in Tucson. I don't think Republicans are the only corrupt individuals in Washington -- however, I do feel there is a significant difference between Republicans and Democrats that many folks have forgotten about. Republicans are the big money party of the corporations. They are the ones who think that a "Free Market" solves all problems. Democrats used to be for the little guys, the regular Janes and Joes who work all their lives to have their pensions stolen by corporate maneuverings and have no safety net 'cause it was their kids who did the fighting in the wars to protect and expand the interests of government connected corporations. Republicans are big on the representaive part of our representive democracy. Democrats are big on the democratic part of our representative democracy. I know others have also announced for the race, but Francine Shacter, for instance, is a great person, but I just don't think she can compete because of her relatively recent move to Arizona. I've heard over the grapevine that Latas doesn't have enough money for the big boys in Washington to want to back him and bring him into their fold. That in and of itself makes him AOK in my book. I also hear that Ted Downing is a possible run as well. I would personally love to see every Republican in Washington ousted and all the Big Money Democrats take a hike too, and then we can replace them all with fresh representatives who still have connections to those of us they purport to represent. Flood the Hill with Raul Grijalva clones! Well maybe not. But do check out Jeff Latas' site. 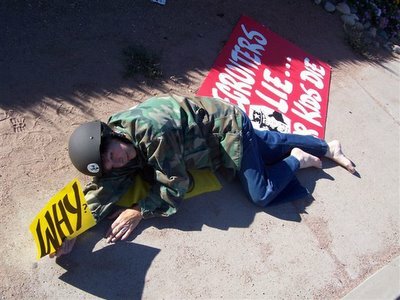 There is a write in campaign to nominate Cindy Sheehan for Time's Person of the Year. I hear Cindy is spending Turkey Day with the consummate Turkey in Crawford, Tx. That's right, Cindy is heading back to Crawford for Thanksgiving. Some call it Fort Sneezy but the innocuous nickname does little to mask the truly dark actions that take place at Fort Huachuca. Like most dirty little dark secrets, it is not so much a matter of no one knowing but of no one wanting to know. 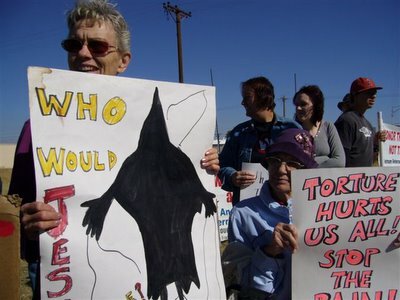 In Southern Arizona on Sunday November 20th about 80 protestors stood outside the gates of Fort Huachuca in solidarity with the 19,000 protestors across the country at Fort Benning, Georgia. 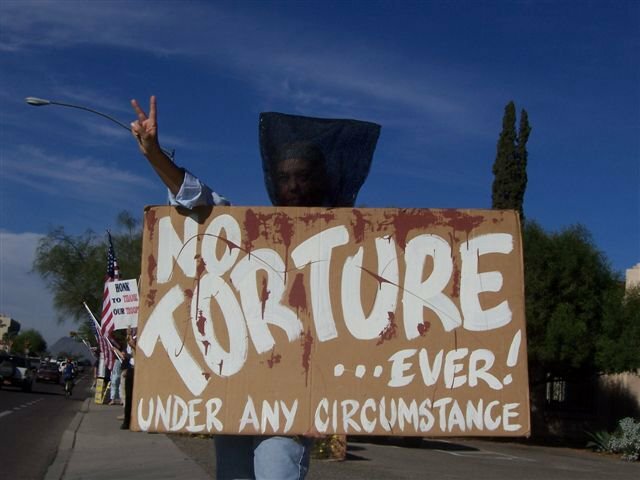 The methods of torture and intimidation of the masses through war crimes to be used to foster regieme change are taught to members of the foreign militaries at Fort Benning's Western Hemisphere Institute for Security Cooperation formerly called the School of the Americas. Didn't get a chance to shoot many stills.....too busy filming the Grannies Raging cross the road, then get escorted back across by the cops, as a couple FBI or whoever it was cowered in the background....sorta! ha. Grannies were spectacular with their new songs, great lyrics, brilliant attire, and crowd participation. There were fabulous signs and flags and banners brought by everyone, even an art piece that was too radical for a gallery presentation. Food Not Bombs Blue Bus transported folks, others carpooled. John Fife spoke brilliantly and passionately, booming over a microphone for the world to hear. Was a beautiful and satisfying day of resistance with Susan Gallego and others planning and executing this wonderful protest. Next year hopefullly it will expand even more to become the huge sister protest it needs to be, gaining participation from everyone around who can't make it to Ft. Benning, Georgia (16,000 made it to that one!). Ft. Huachuca is notorious for it's torture training manuals...Channel 4 is going to feature Ft. Huachuca all next week I hear on their news program. Should be knee-deep I'm sure! Try not to slip if you watch it! Hope EVERYone comes next year....this needs to be an annual EVENT!!! Strange times make for strange bedfellows. Well at least for strange sheet-fellows. 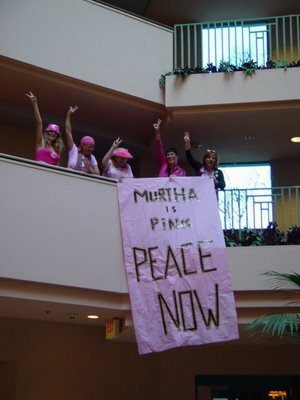 CODEPINK Tucson and CODEPINK Phoenix dropped a banner during the State Democratic Committee meetings Saturday in Tucson to encourage Arizona Democrats to work for peace -- like Murtha. While they come to the mutual position -- that the troops need to get out of Iraq now -- from completely different places, when such divergent perspectives can join together, you know something profound is happening. It is good to see progressive folks in significant numbers at such events -- without them it would probably be business as usual. 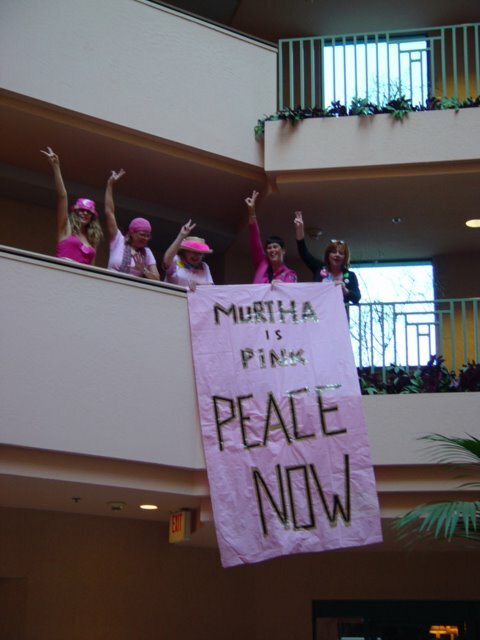 Folks from No More Deaths/No Mas Muertes as well as CODEPINK Tucson and CODEPINK Phoenix were there working the crowds. Usually I find such lengthy documents to be nap inducing, but when we are talking about the "Katherine Harris" of Arizona who was one of the several SoS's with glaring conflicts of interest in that they helped to run State Republican Campaigns while also supposedly overseeing the impartiality of elections in that same state. This issue deserves a lot more coverage in corporate media than it has received -- so I guess it is up to citizen and indy media to get the issue out there -- so Democrats can't react to chill temperatures by shrivelling up. A major creator of propaganda, also known as "perceptual management" had worked for a long, long time to create an American mindset that would support a war against Hussein. November 11th became a federal holiday in 1938. An act of Congress declared it to be "...a day to be dedicated to the cause of world peace." The Act was amended in 1954 the holiday became renamed 'Veterans Day' by amendment to the 1938 act so that all veterans could be honored. Those who are willing to lay down their lives to protect us are heros. I may disagree with waging war, but soldiers don't start wars, politicians do. So last year I marched with Veterans for Peace. This year, tomorrow, I may do so again. I need to support a day of remembrance and peace. As Steven Laffoley poignantly states in his article Almost Like A Day for Peace, " "Almost like a day for peace." And I think: He's right. We could use a day like that." Tomorrow will be that day for me. Then I start to research more about the gloss over treatment that W's military service (and lack of it) received. With Mapes new book out and the topic back in the news at a time when many are questioning the integrity of our administration it might be a good time to reexamine his records. Appearance of a topic in Vanity Fair isn't respected by all folks so The Recruiters' War probably has not changed too many pro-war folks minds... But... I have a conservative friend (hard to believe I know, but... true) who, while he hasn't actually chided me for reading articles in the magazine, nor for forwarding such articles to him, says in his deep, booming and courtroom trained voice that conveys far more his words, "Well it is not my usual type of reading..." But after I finish writing this entry I will send it to him, and get his take on this trend. I suspect even a Republican attorney will be softening his stand on the clear black and white nature of military recruiting. People are getting information about the issues that concern them, even if they have to get it through non-traditional channels. No matter what you feel about high end women's magazines, this article about 10 apparently representative recruiters who admit to recruiting young men and women (boys and girls really) who do not meet standards because of problems with health, parental status, drug use and the like are the norm is worth a read. When examined with other co-occuring events, the increasing public scrutiny of unethical military recruiting practices as part of a governmental culture of corruption is almost to be expected. A Tucson friend who has participated in anti-war activities after having served in the military and having a husband who retired from the military told me her story of how her just in remission son enlisted only to have recruiters call because of crossed wires after he was on his way to Iraq. After talking to him for a while she realized that the recruiter was going through files of kids with cancer in an attempt to recruit those now in remission. Ghoulish. You can read the incredible and inspiring story of this family in an article by her husband, Jeff Latas, who is the AZ LD 26/CD8 candidate who will ruin against Kolbe. And should you need to see more data before you can agree there is a trend, just look at the fact that voters in San Francisco approved ballot measures to ban handguns in San Francisco and urge the city's public high schools and college campuses to keep out military recruiters. Yes, this isn't just about vague notions of war and honor. This is a local issue. War is a local issue. I'm also feeling a personal sense of vindication that I am really and truly in the right when it comes to my dealings with certain recruiters who have attempted to intimidate me on two occasions when I was doing nothing wrong. One time I was inside the recruiting station about a recruiting concern -- I was really upset that my 15 year old daughter had received phishing materials in the mail. The recruiters took advantage of that to try to intimidate me and while they never asked me to leave and wouldn't give me the information for which I asked, they did surround me while yelling and called the police. Later when I was documenting an event for a Raging Granny action--the same nasty lying recruiter was the one who singled me out as one of the Grannies to be arrested even though I clearly was not participating in the attempt to enlist. After I protested that the recruiter was singling me out for reasons other than actions that day, he had another confab with the police and they then decided to arrest several other "minor" journalists, but not the ones from the local network stations. The lying and scheming that these folks are capable of carrying out is frightening. The even more frightening thing is that the police are far more concerned with buddying up to the military than insuring the citizens who they serve have their right to protest protected. Suraya Pakzad, executive director of the Voice of Women Organisation (VWO), one of the leading NGOs in Afghanistan says, as reported in today in The Penninsula, "The regime change in Afghanistan is yet to deliver the expected results as far the position of women in the country is concerned." She notes that improvements have occurred but that local customs are often confused with religious teachings and that practices routed in custom will be difficult to begin to change. Child marriage is one such widespread practice that must be stopped (it is already illegal) if the status of women is to be generally improved. Enforcement of existing rules and more legal protection for women and education can improve the situation, but economics enters into it too; huge dowries in poverty stricken areas can be a huge incentive for poverty-stricken families. In an article on womensradio.com a very useful albeit informal women's councils or shuras is described by Suraya. During the elections, she (Suraya) concentrated on women's voting rights, but the group's main focus is on bolstering the network of women's shuras--or quasi-government councils--in the villages that surround Herat. Again, we in the west could learn from these women. Perhaps we need to establish shuras in impoverished areas of our own country. Small business loans and other programs that help women in business are fine, but they do not provide the supportive structure of the shura nor foster the collective creativity that women's cooperatives do. A BPW luncheon isn't the same. The women's groups are structured like men's organizations that sprung up in the days of male controlled business and industry. Perhaps to foster change we should look at alternative structures for new types of women's work/life organizations. Wednesday November 2nd was jam-packed with protest all across America and Tucson was no exception. The World Can't Wait March is well covered at the Tucson Indymedia site. But there were actions throughout the day at many locations in Tucson. I received some photos from my friend Susan of "Die In" that was held in front of the Military Recruiting Office on Speedway that morning. Protests have been ongoing on Wednesday mornings at this location for three years. Protest and street media are essential to conveying information that isn't conveyed in corporate media. We who engage in alternative media are patriots and serve the same function as the town criers of old. "It is November 2005 and all is not well." Karin Uhlich is the Democratic Candidate. Karin is experienced in management and economics. While I don't know Karin personally, I have met and talked with her several times. I find her to be sincere in her desire to represent the people of this working class district. Of course there is also the little (ha!) matter that in Tucson Wards do not choose the people who represent them. The upper middle to upper upper SEC folks in the foothills (and eastside) have just as much say in determining the representative to a working class neighborhood as the folks who actually live in the Ward. In Tucson City Council Members are nominated in each ward, but are elected in citywide elections. This allows for situations such as the one when then Tucson Mayor George Miller noted in a 2001 article "Ward 2 has not been represented by the person it has actually chosen in 22 years." This has also been the case in Ward III for the last few years. 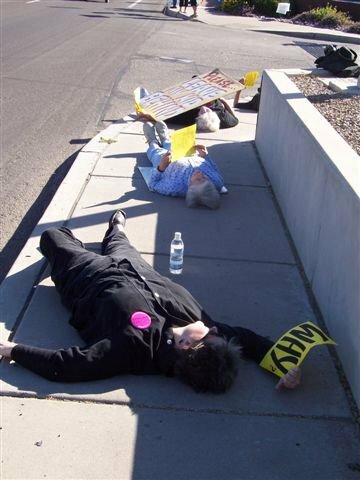 Karin holds press conferences outside the gates of the Tucson Country Club while Kathleen Dunbar and Jim Click, sugar daddy to local and regional Republicans, hob-knob with Karl Rove inside the gates at a totally closed "fundraiser" for local corporate sponsored Republicans. Maybe that is where she learned last week's stunt in which she she sued everybody and their sister over a campaign mailer that she purports contained defamatory statements that have caused her "severe mental and physical anguish." The case was filed against her Democratic opponent and three retired teachers their husbands, the Pima County Democratic Party and a lawyer for the Amphitheater Public Schools district and his wife. The lawyer's comments that were quoted on the flier were from a May 2004 council meeting. Dunbar pimped over the Amphi School District. This is very personal for me. I live within the Amphi School District. I believe in public education and have refused to move from this area within which it makes perfect sense for my family to live. But after sticking with my beliefs through my daughter's time at Holaway Elementary and Amphi Jr. High we decided we had to put our daughter in private school for High School so that she could have a real college prep curriculum in an academic atmosphere-- something that just wasn't offered in our local schools. At least the High School is in our neighborhood. Her sinking of a done deal that would have given Amphi hundreds of thousands of dollars hurts me personally. So while Dunbar is whining about mental and physical anguish, the fact remains that I am suffering similar mental and physical anguish that my most basic right to participation in the selection of who represents me is being stolen by the large "independent" expenditures that financed her (and Fred Ronstadt's) campaign in 2001 to the tune of $125,000. Read about this and more in a PDF that discusses campaign finance reform. I'm damaged when my neighbor's children are damaged. 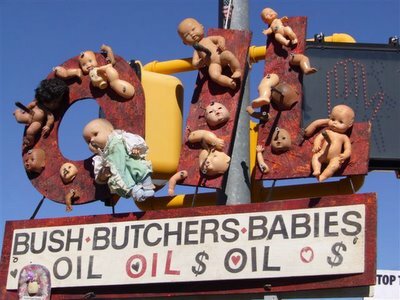 Scottsdale. And Arizona's Secretary of State Jan Brewer has not fulfilled her duty to address how such glaring holes will be remedied and electronic voting machines decertified when such problems arise. Indeed she has been brought to court over her failure to address this issue. "(Dunbar) has not been consistently moderate, pointing to her support of a bill requiring schools to teach alternatives to evolution. Dunbar said she signed on as a favor to a colleague, then when it bogged down in fighting over creationism, she realized how divisive it had become and worked in caucus to kill it." "I got a mail piece from City Council candidates Kathleen Dunbar and Fred Ronstadt recently. These candidates have both opted out of Tucson's publicly financed campaign system. They both feel public financing is a waste of public money and think private interests should be relied on to fund the election of our public officials. I haven't got any problem with a person following their conscience in such matters, but they should be consistent, right? On the flip side of the Dunbar/Ronstadt mailer is the mug and the endorsement of none other than Arizona's Sen. John McCain. McCain-Feingold campaign finance reform law shepherd John McCain. Supporter and defender of Arizona's clean elections law John McCain. I suppose the moral of this story is that party loyalty is stronger for GOP pols than is principled adherence to basic political convictions about the nature of the public's interest." She didn't take the clean elections money. How could she? She doesn't believe in clean and fair elections. She's got all that corporate money behind her and there is no way she'd give that up for a clean and fair election. We must stop the rise of Dunbar and people like her (Ronstadt) through the graft-controlled political ranks. These are the people who end up in Washington, supposedly representing us, who all the while have become indebted to corporate benefactors and perpetuate and strengthen the culture of corruption now being exposed in Libby's indictment and the treasonous obstruction of justice he engaged in to protect the Halliburton controlled Vice Presidency.